Concurso Internacional Aberto para Habitação Estandardizada e Desenvolvimento Residencial. Entre mais de 300 candidaturas, a nossa proposta "Modelo Residencial de Baixa Altura" ficou selecionada entre as 20 finalistas e, em maio de 2018, durante o fórum "Meio Ambiente para a Vida: Tudo sobre Moradia" realizado em Kalingrado, o júri destacou o trabalho "pela abordagem lúdica e liberdade de expressão", outorgando o 3º Prêmio ao mesmo. O conjunto urbano (30 ha) proposto procura uma simbiose ideológica, formal, simbólica e funcional com a cidade existente. Esta não é considerada apenas um contínuo dos seus espaços, por que também se constrói com os sentimentos e memórias que se emprestam e se recolhem das suas ruas, praças, monumentos e paredes. O novo bairro não é criado para propor uma forma diferente de viver, mas sim, influenciado pelas experiências e memórias da cidade, a partir da visita a Moscou e com forte influência do Novo Urbanismo, busca criar um espaço urbano e de moradia digna. O conjunto urbano olha para o entorno e se apropria do resto da cidade tanto quanto a cidade irá se apropriar dele. Exactly one year ago (2017, second semester) we made our registration in an international competition for the development of concepts of housing in standard housing (Open International Competition for Standard Housing and Residential Development Concept Design), proposed by the Government of the Russian Federation and organized by the KB Strelka Limited Liability Company. 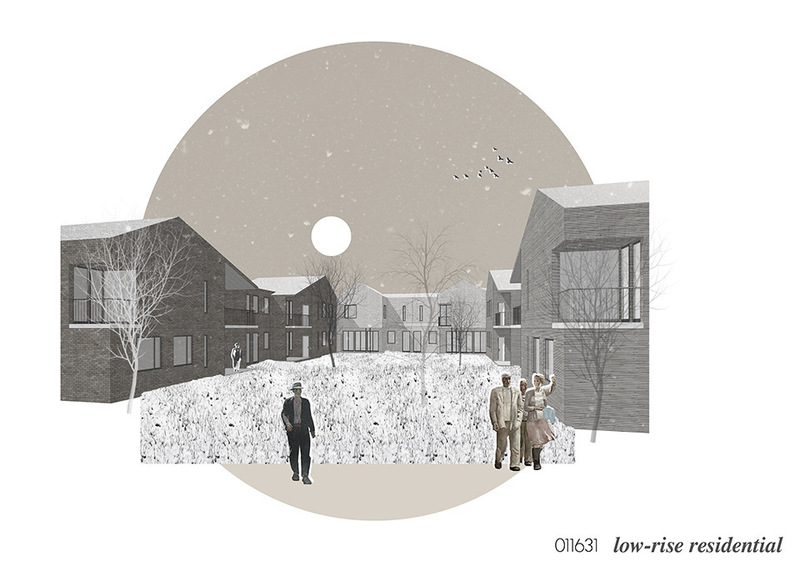 Amongst more than 300 competitors, our proposal "Low-rise Residential Model" was selected as one of the 20 finalists and, in May 2018, during the “Environment for Life: Everything about Housing” forum, held in Kalingrad, the jury higlighted the proposal “for the playful approach and freedom of expression”, granting it the Third Prize. 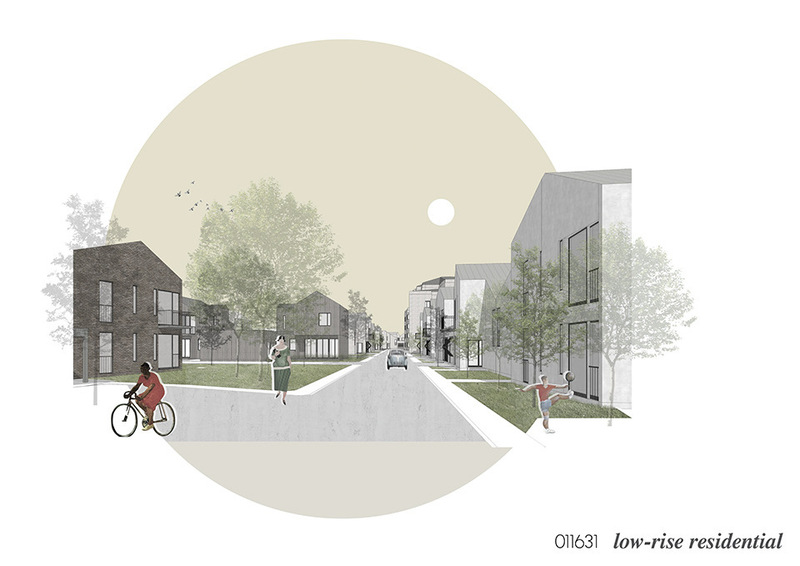 The proposed urban complex (30 ha) seeks an ideological, formal, simbolic and functional symbiosis with the existing city. The latter is not only considered as a continuum of its spaces, since it also is built with the feelings and memories, which are borrowed and are drawn from its streets, squares, monuments and walls. The new neighbourhood is not created to propose a different way of life but, rather, it was influenced by the experiences and city memories, from a visit to Moscow and with the strong influence of New Urbanism, aims to create an urban space and worthy housing. The urban complex looks at its surroundings and appropriates itself of the rest of the city just as the city appropriates itself of it. The new suburb fills up empty spaces, recreates and aggregates new symbolic value to the existic urban space, while it gives great attention to the link with the the memory that builds the social and historical fabric of the city where it will be erected.